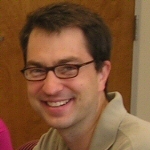 Craig Collisson received his Ph.D. from the University of Washington in 2008. His dissertation examined the black student protest movement at white universities in the late 1960s, with a specific focus on the University of California at Los Angeles, the University of Washington, and the University of Texas at Austin. He currently teaches at Metropolitan State University, Denver.